◊ Pain or discomfort in the chest that radiates to the shoulder or arms, to the upper back near the shoulder blades, or to the neck or jaw. 1. Call 118 for an ambulance in Indonesia or the Emergency Number on your Health Insurance Card. You may be reluctant to call for help, especially if you are not sure your discomfort is caused by a heart attack or indigestion, but doing so will get you better – and safer - treatment. Emergency medical personnel can restart your heart if it stops beating. They can give you oxygen to help you breathe and aspirin and other treatment to prevent further blood clots. Another good reason for emergency transport is quicker treatment once you get to hospital. Heart attack victims who arrive by ambulance receive appropriate treatment sooner than those who arrive by car. If you have someone drive you to a hospital, tell the person in emergency desk in no uncertain terms "I think I am having a heart attack" Don't just sit in the waiting room. Do not, under any circumstances, drive yourself to hospital. 3. Call a friend or family member if you are alone, and tell them what's going on. Act in time The average person waits 2 hours or more after the onset of heart attack symptoms, to call for help. One in four people wait more than five hours. It's not ignorance – it takes the average doctor who is having a heart attack, two hours as well. Proceedures to open blocked arteries The two main procedures to restore blood flow to the arteries are angioplasty – performed by cardiologists and coronary artery bypass graft surgery, performed by heart surgeons. 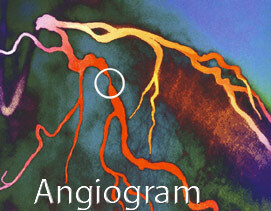 Angiogram is a contrast x-ray used to detect abnormalities, such as narrowing in the coronary arteries. Dye is injected into the blood vessels to make them clearly visible on an X-ray. Angioplasty aims to relieve angina by widening the affected arteries. It is a less invasive alternative to open heart surgery. A tiny balloon is inflated to open up the coronary artery that has become clogged with fatty deposits. The patient is usually awake throughout the procedure. 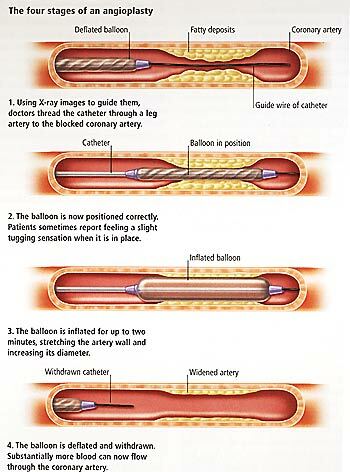 A catheter (hollow tube) carrying a balloon, is inserted into a blood vessel in the groin and guided, with the help of x-rays, through the arteries to the blockage. 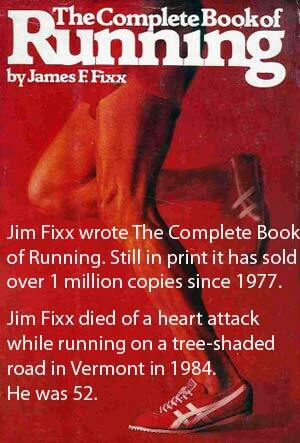 The balloon is inflated several times to widen the artery. There is a relatively small risk of myocardial infarction (death of part of the middle layer of the heart wall), or a split in the artery, which will necessitates bypass grafting. In many cases, a titanium mesh cylinder, called a stent, is placed in the artery to keep it open and reduce the risk of narrowing again. Open heart surgery or Coronary Bypass A blood vessel is taken from the leg or chest and used to bypass the narrowest part of the artery. This graft, which may last 8 – 10 years, may be offered if symptoms are still present despite drug therapy, and angioplasty is not appropriate. Dr Dasaard has performed over 8,000 angiograms and over 1,000 angioplasty operations. The procedure was carried out at RS Medistra in Jakarta. The operation took 50 minutes. 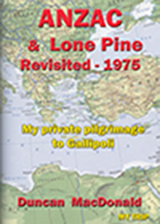 He was discharged from hospital within 2 days and was playing tennis 5 days later. Unfortunately it hasn't improved his tennis skills.